Under the direction of Barbara Reyelts and Diana Dodge, the DSHA dancers always please a crowd and have placed well over the years in local, regional and national competitions. Classes will go from 5:00 to 6:00 PM on Monday evenings. Dancers are expected to be in class 10 minutes before class so they can be fully dressed and ready at their starting times. It is critical that dancers practice so that class time can be spent moving students ahead in technique and dance knowledge. Practicing also improves stamina so that dancers can concentrate on learning new steps and improving their dance technique in class. Proper dancer attire is comfortable shorts, t-shirts and knee socks. It is preferred that dancers not wear long pants, sweat pants or running tights. Dancers also need dancing slippers. 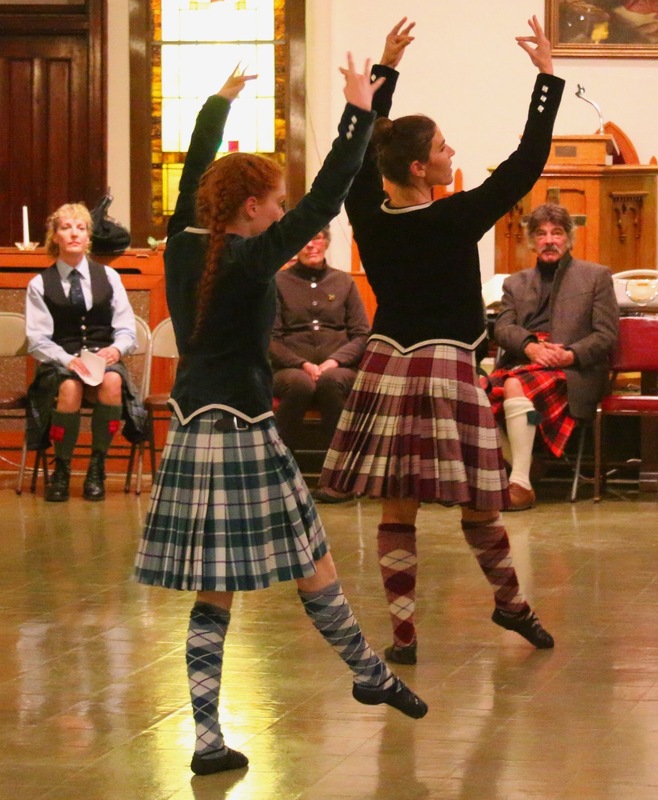 Official Highland dance slippers can be ordered online at several U-S outlets. Black ballet slippers can be worn for practice. Hair should be pulled away from the dancer’s face. Dancers should bring a water bottle and a pen and notebook to each class. Classes are held at First Presbyterian Church at 300 East 2nd street. Families can park in the alley behind the church or in the lot below the alley. Registration and classes will be held on the third floor...go in the door marked "gym" and go up two flights of stairs to our classroom in the church. First session runs from mid September through late January while the second session runs from early February through mid- June. Second session registration will be held at the start of the first class in February. No classes will be held when DULUTH public schools are out of session or during national holidays. In inclement weather, notice of emergency class cancellation will be emailed. When registering please provide an email address, as notification of class cancellation and dance performance schedules, will be posted via email so please be certain to indicate your proper email on the form.